GEARING UP. - Terry Peloton. You are here: Home / Sidesaddle Blog / GEARING UP. The New Season Highlights from Terry. Join us in the 2019 Season of Journeys, a concept that set the tone for the adventurous prints, global patterns, cycling references and natural influences that you’ll see in the Terry line this year. We hope you’re inspired to ride even more than inspired to buy, but just in case, click on a link and take a closer look. I do a lot of long-distance bicycle touring. 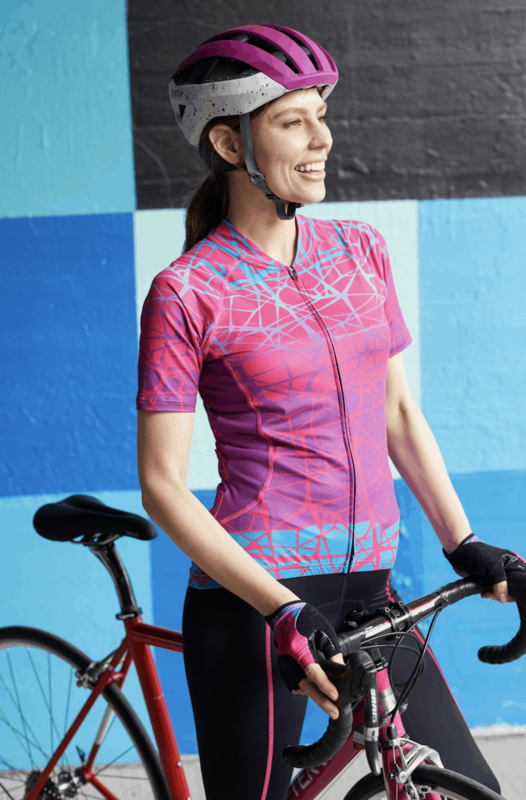 I would love to see more long sleeve tops in solid bright colors which are more visible on the road than patterns. Just got my TERRY bicycle shorts, knickers and tights for my cross-country bicycle trip. Have been breaking in the shorts on the exercise bike, can’t wait to get them out on the road. Excited to add some jerseys, love the new 2019 Season of Journeys line. Thank you Tracy. Enjoy your gear, we’re all wishing you the very best for your adventure!